Hitec raised the bar by offering the ever popular HS-65 in a new digital version! 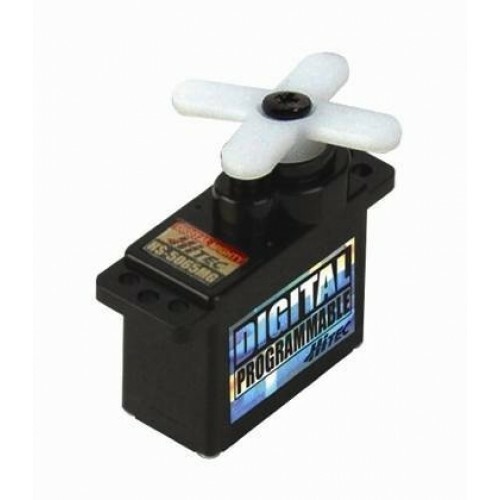 The HS-5065MG High Performance Micro Servo features Hitec's digital, programmable circuit for incredible resolution, centering and holding torque; also featuring metal gears, a top-ball bearing, and at 31 oz./in. of torque with a quick transit time of 0.11 sec at 6 volts, it is no doubt THE choice for high performance micro helicopters, electric park flyers, and 1/18 scale cars.